Kvaløyvågen is located in the outer area of the Kvalsundet. The place here is protected from wind and weather and offers very good fishing for several species of fish. It's well known as one of the best places for fishing of halibut in Norway. 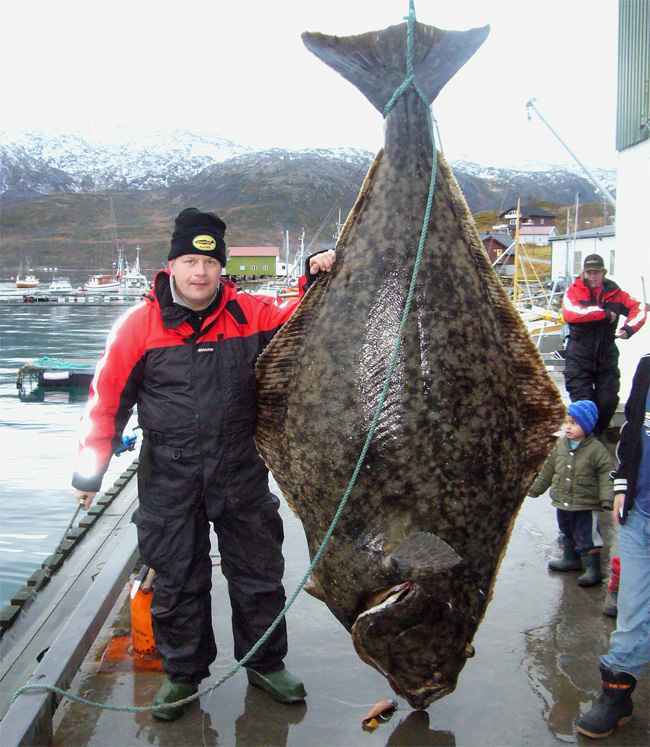 In 2008 we cought a 192 kg halibut! There are many good fishing grounds that we know of and we at Maribell sjøbua will gladly share our knowledge about this with you. 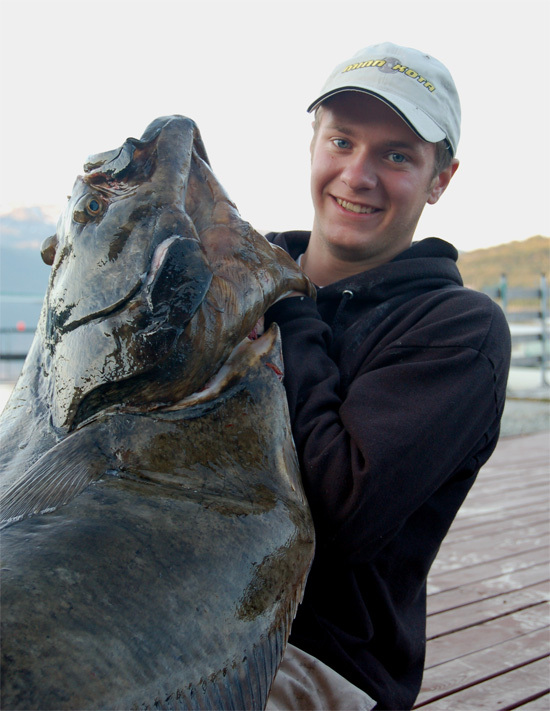 The most common fish species here are cod, coalfish, halibut, flounder and you can also get anglerfish and mackerel. Traveling a little farther out to sea on the right time of year and the larger "winter cod" (Barent Sea cod) bite willingly. Please contact us if you want to know more about this or anything else!